Mexico was the first nation we studied on the World Showcase. Since this was our first country, it was a little more disorganized than the countries going forward. Mexico was our learning curve. Teaching Mexico was a lot of fun with my kindergartner. We started with the basics. My son has a large Discovery Kids world map on the wall in our classroom. The first thing we did was find our country and our home. This was the easy part, since we had done it before. Then, I showed him where Mexico was. We labeled it with the Velcro country labels that came with the map and discussed the continent. The DK map shows each continent in a different color but it does not have state lines drawn on it. So, we went to our globe and discussed the exact country location. We had gone to the library and checked out various books relevant to Mexico and a DVD from Marathon Films Productions from a series called “Countries Around the World.” We watched the video and discussed what we saw. These videos serve as a wonderful introduction to the countries we are studying. Usually, they feature a child telling a little about the country, their lives, culture, foods, etc. Next, I went to Google and found pictures of Mexico. I specifically got pictures for each environment type (beaches, deserts, mountains) different cultural depictions (dress, musical instruments, religious figures, and fiestas). I then used those pictures and traditional Mexican music I purchased from iTunes to make a slide show. My son and I sat down and looked at each of those pictures and discussed what they meant in terms of the country. We used National Geographic Kids to help supplement some of the information. 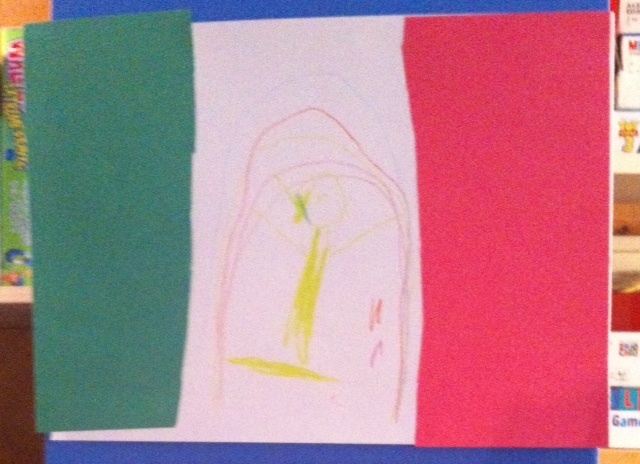 Then, using construction paper, my son made a flag of Mexico. This was accomplished by using a white sheet of construction paper and 1/3 of both green and red. He then drew the eagle/serpent/cactus part in the middle. This was one of many art projects that carry over into the Social Studies realm as well. 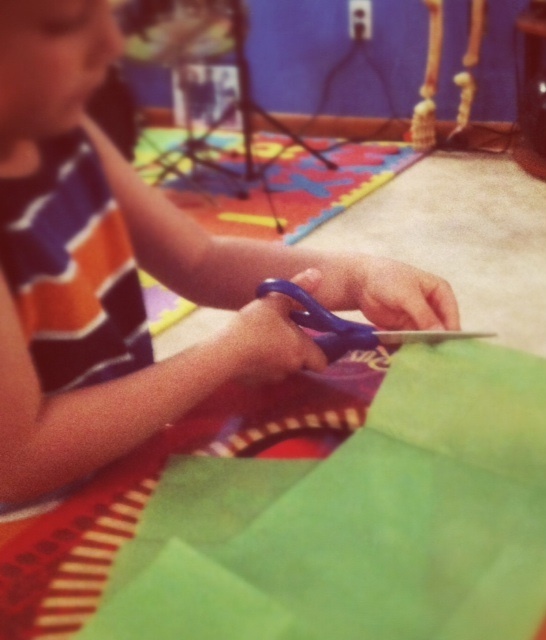 Prior to making the flag, we had heard the Aztec story that founded Mexico City from the “Countries of the World” video. The Aztecs believed that when they saw an eagle sitting on a cactus eating a serpent that is where their city should be founded. They saw this in the area that is now Mexico City and the flag’s center shows the picture of an eagle, sitting on a cactus, eating a serpent on an island. Using Google again and Time for Kids I was able to learn a few simple phrases in Spanish to teach my son. We practiced those phrases as well as pointing the country out on the map, the continent and the flag recognition every day of our 10 day lesson. We also looked at famous places, including Chechen Itza and Tulum. We downloaded the GeoWalk app on my iPad which gave some nice pictures and facts about some animals unique to Mexico. We ordered Mexican jumping beans online. This was the basis of our science/biology area of our Mexico studies. Using fact sheets from online resources and from the retailer, my son learned about the moths inside the jumping beans, their lifecycle and habitat. We are still eagerly awaiting their hatching. We also used a scientific article on Jaguars and their habitats for both scientific exploration and reading comprehension. The worksheet was located on superteacherworksheets.com which provided both the article describing the cat’s habitat, eating and living habits but also followed the article with reading comprehension questions. Another scientific area we studied was the climate differences between Mexico’s capital city and our home. We took the weather readings daily from weather.com, gathering temperature and precipitation. At the end of our Mexico studies, we graphed the results and discussed how Mexico compared to home. This crossed into the math studies as well. For additional math studies, I created a homemade “Souvenir buying” worksheets. I used pictures of the types of souvenirs which may be purchased at the Mexico pavilion and gave them whole-dollar price tags. From this, I created math problems involving adding and subtracting money (prices and change) that help him not only understand math concepts, but concepts of money. For the English/Language Arts we focused on two areas. The first, writing. I created a worksheet for writing “M-E-X-I-C-O” with the use of Microsoft Word. This worksheet listed each letter and an elementary style lining for him to copy the letters. He also practiced writing on the reading comprehension worksheets and weather worksheets. For reading, we checked out a number of books from the library that covered various areas of Mexico and its culture. Those books varied in reading levels, some being very simple and read by him and others more complex and read to him. Art is always a pretty easy subject to teach. 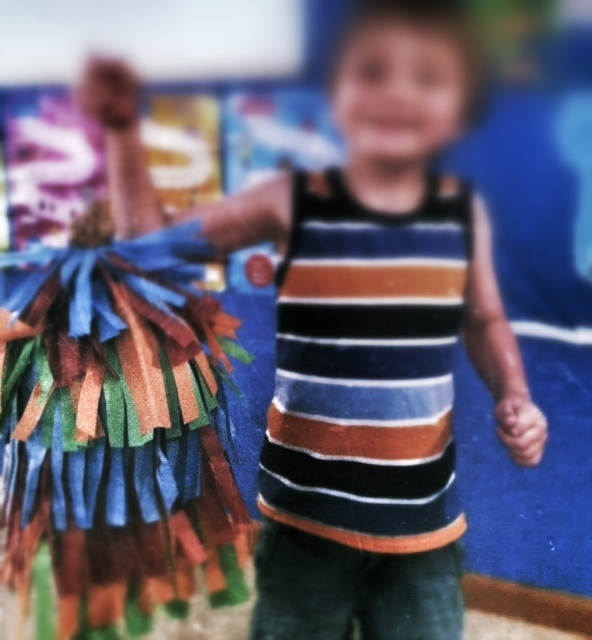 Other than completing the Mexico flag, we also made an “eye of God” craft, homemade maracas, and a homemade piñata. To top it all off, we created a suitcase from cardstock which houses postcards he creates depicting scenes from each country. It is decorated with flags from the various countries. We have also created a passport which has space for each nation’s flag, various information about each of the nations and a place for each of the pages to be stamped at Epcot. 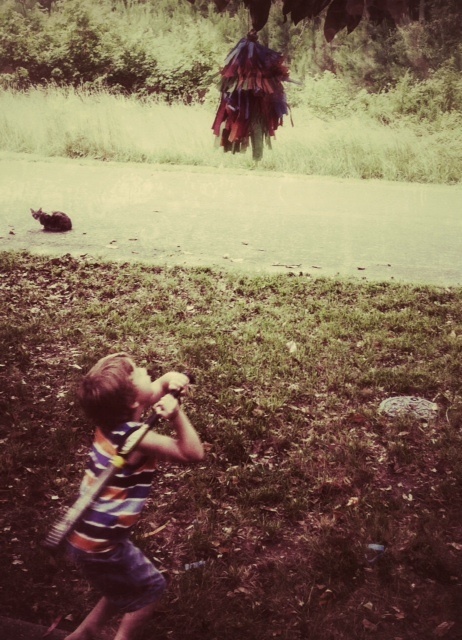 To end our study of Mexico, we had a Mexican fiesta, which included various Mexican foods, drinks and snacks , Mexican music and the breaking of the piñata. We also watch The Three Cabilleros to end our study of Mexico and tie Disney back into our trip. For those who have not yet been to the Mexican pavilion at Epcot, the ride has scenes from the movie. It also features a large Aztec/Mayan style pyramid which is a architectural feature that my son is now very familiar with. I can’t wait to take him to Epcot. I plan to quiz him as we enter each pavilion to see if he can determine which country we are in. So, that’s it…. Until Norway. This entry was posted in family, School, Travel and tagged Epcot, Homeschooling, kids, Mexico, Travel, walt disney world. Bookmark the permalink.